Confession time: Slovenia isn’t exactly high on any of my friends’ travel bucket lists when it comes to travel in Europe… HOWEVER, after I shared my photos and experiences with them as I visited this wonderful country last July, they have definitely started to see that they’re missing out on a LOT of things by not putting it high on their Eurotrip itinerary. Big Berry. After all, Slovenia’s sheer beauty is breathtaking: from its turqouise green rivers up to its lush forests and high mountains! And when it comes to finding the perfect Slovenian staycation to soak it all in, there was surely an amazing place that complimented it all: the luxurious lifestyle camp of Big Berry! First of its Kind in Slovenia. This is the first ever Slovenian lifestyle camp that offers a curated ‘glamping’ (luxurious camping) experience to its guests done via its amazing facilities, location, and collection of designer mobile homes that have been designed by Hosekra. In a Prime Location. Set in the heart of the Bela Krajina region’s town of Primostek, Big Berry lies beside the scenic Kolpa river in which the other side would already be the border of Croatia! (In the mornings that I do wake up early, the river would even start to look magical when the fog settles in — that being said, I highly recommend that you make time to catch this sight.) You can also reach famous spots of Slovenia in no time like Bled Castle and Lake Bled in just less than 2 hours from the camp and this is apart from the fact that you can already visit fantastic local sites like the Metlika Castle and Postojna Cave Park, among many others. A Big Supporter of Local Producers. 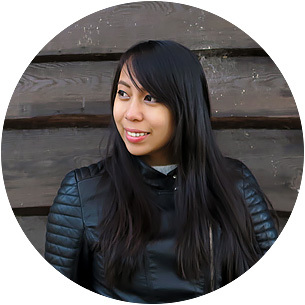 Aside from giving people the best glamping experience possible, Big Berry also aims to support the local businesses in perpetuity. This is why once you check in to their lifestyle camp, you will not only be served the freshest local food and goods, but you will also be immersed in various activities and tours around the locale and around the country! Like what I’ve already mentioned, Big Berry’s accommodation facilities are designer mobile homes made by a well-known Slovenian producer. They currently total to seven and can house singles, couples, and even families or a group of friends. Once you check in to Big Berry, you will have instant access to the camp’s wide array of amenities that can easily fill up your itinerary. River Area. The Kolpa river is perfect for swimming and lounging under the sun; otherwise, you can always head on to Big Berry’s installed floating swimming pool if in case the current of the river is strong. In times that you might want to canoe your way down the river, the camp also offers canoes by ROTO for your use — plus, you can even do fishing! Beach Volleyball Area. Hit this up with your family and friends, or go solo and meet new people in the area who are also looking for a good game of volleyball. Open Air Fitness and Playground. There is an outdoor fitness setting and a playground for kids at the camp. If you want a more immersive experience, you can also join the daily 8AM exercises done by Muay Thai Gym Direct or the daily yoga sessions. Or — if you want to have some good ol’ fun, the reception can provide you with a hula hoop. Laundry House. Don’t worry about the usual hassles of doing laundry when you’re here camping because Big Berry has it covered for you (detergent and fabric softener are provided). There are TONS of other things that you can do when you’re in Primostek and some of the activities that Big Berry offers and which I have done were as follows. Tour to Vizir’s Brewery. Vizir is one of Slovenia’s well-known beer brands and we had the exclusive opportunity to learn more about their beers (with a beer tasting affair) as well as a quick tour of their whole brewery! Visit to BIBI Turizem. If you want to know more about the local crafts and food (like Pogaca, a Slovenian “welcome bread”), a trip to BIBI Turizem should be up on your to-do list! River rafting. I’ve never done rafting before, so this was my first time to do it and the overall experience was calm with a touch of mild thrill whenever we had to cross strong currents or pass through a drop. For this, we passed from Dol to Radenci and the views were superb! My companions and I similarly felt that we were in a scene of the Lord of the Rings! Gong Bath. The owner of a local product called as Golden Ghee (who makes great-tasting cooked butter/ghee) is also an expert at doing a ‘gong bath’ which is basically a sound therapy session where a gong is played in a therapeutic way. This was my first time as well to be exposed to such a thing and the overall affair was… astounding. It was so calming and refreshing in its own unique way! To see a complete list of the other activities that you can do while staying in Big Berry, head on to this page. Checking in to Big Berry grants you a free daily breakfast that are all homemade and they usually deliver it right to your mobile home from 7AM to 11AM. So yeah… you could just imagine how ecstatic I was to wake up every morningand see my fresh stash of morning goodies such as fresh cow milk, bread, eggs, and more! I stayed at Big Berry solo, but never did I feel lonely nor “alone” during my stay there — besides, the camp facilitators / ‘interns’ were all so very friendly and warm. They attended to my needs promptly and were always enthusiastically suggesting activities for me to do in order to fill up my days and make the most of my trip! The interns also come from all parts of the globe, so there were always interesting stories to share and relatable people to connect with. Booking: See the BEST deal and price for Big Berry at their own website! Disclaimer: Big Berry sponsored my stay; but as always, all thoughts that are expressed here represent only those made by myself and NOT of any other entity in their favor. » How to get to Big Berry? 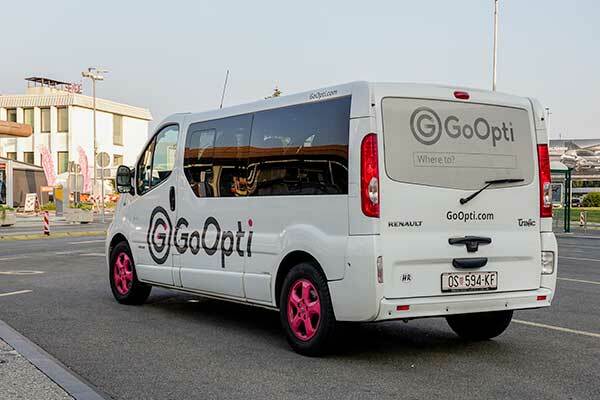 I highly advise that you fly in to either Slovenia’s primary international airport (Ljubljana Airport) and hire a shared or private car service via GoOpti — one of the country’s most trusted transfer provider! I personally had a swift and no-hassle experience with them which is why I would highly recommend that you consider them in order to reach the camp site safe and fast. I have only stayed in Big Berry for five days, yet I felt like I stayed there for a long time due to all the fun activities I’ve gone through — but at the same time, I felt like it was all so short because there were still so many things that I would have loved to do! In fact, my mobile home became so comfortable and ‘homey’ to me, which made it a bit tough to say goodbye when it was time to go. Now the price may seem steep, but I assure you that you will get what you pay for — and more. Big Berry really is a unique place that grants you the freedom and luxury to connect with nature in a lavish setting! So what are you waiting for…? Come and see the beauty of Slovenia with Big Berry! BOOK WITH BIG BERRY NOW! What do you think of Big Berry? Then I'm glad that I introduced this to you, Gezi! Hope you get to stay with them soon! I was caught up in the relaxing atmosphere that the camp is giving, and I feel like this is one of the best places to take a vacation and waste your days away with a peaceful ambiance away from urban disturbances. Great article!